Now, don’t get mixed up with the naming convention here – Big Blue Audio here has nothing to do with IBM, as the latter’s nickname clearly does not deal with any kind of audio products for your living room or organization. No sir, Big Blue Audio is an audio company instead (no kidding, Sherlock, just look at the name itself), where it has just put up on offer a couple of its audio devices to tempt you to part with your hard earned money – the Big Blue as well as Big Blue Live Wireless Speakers. Both kinds of speakers will come with their signature Power. Pair. Play. interface, and will sport a stylish design that is certainly not lagging behind the times. Relying on the magic and wonders of Bluetooth connectivity, both pair of speakers have the ability to virtually fill any room with crystal-clear sound sans wires from any Bluetooth-enabled device, be it your iOS or Android powered smartphone, MP3 player, portable media player, tablet device or notebook. Ron Boire, Brookstone CEO says, “Listening to music and movies via Bluetooth is an emerging trend. Big Blue Audio was created specifically to bring innovation and quality to this new category. Most people think of Bluetooth technology for talking safely while driving, but the future is streaming music to a wireless bluetooth speaker – be it from Internet radio or your own library.” How true that is, and since the world is clearly on the path to living up the wireless lifestyle, don’t you think that it makes perfect sense to have a wireless speaker thrown into the mix as well? The Big Blue Tabletop Speaker will come with 2 full-range speaker drivers (for stereo highs and mids), a down-firing subwoofer, a passive radiator for bass, and an Aux in/Aux out. The signature Power. Pair. Play. interface as well as backlit sphere will show off power and pairing modes, and you can choose from either black or white shades at $149.99 a pop. As for the Big Blue Live, this particular model measures a mere 5″ x 2.5″ x 2.33″, making it the ideal traveling companion or for those who are constantly on the move. 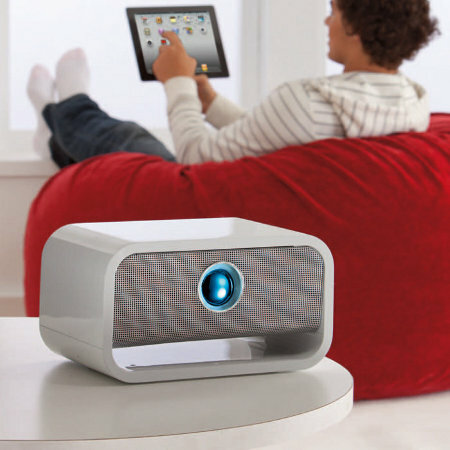 It will also, just like the Big Blue Tabletop Speaker, sport the simply Power. Pair. Play interface, and offers full-range wireless sound with dual stereo speakers as well as a passive radiator for thumping bass. With up to half a dozen hours of playback time on a full charge, not to mention doing away with the need for docks and cords, you can pick up this puppy for $99.99 each in either black or white shades.